It's #TuesdayTunes! Show us your #TopArtists #MusicMosaic for the #Last7days! Take a look at all that green! Fantastic work everyone! @thelovelymedusa Everywhere!!! Amazon, Slickdeals, forever 21, H&M. @DogKill3r @danielcrunkk I bet he doesn't kiss ya! Take Catana Comics for example. All square panels - but you don't get bored reading them! A big hello to the Finance guys & gals working this weekend and giving up their Easter to finalise year end. Good luck. No stream tonight. Got some house work I gotta do at the new house BUT I'll be back Thursday enjoy your afternoon! 23 Apr 19 copy & paste +upvote -downvote No stream tonight. Got some house work I gotta do at the new house BUT I'll be back Thursday 😃 enjoy your afternoon! 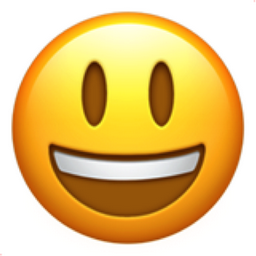 Like Smiling Face with Open Mouth Recent Emojitweets 1?